Editors: Alba, Enrique, Nakib, Amir, Siarry, Patrick (Eds.) 2013. Editors: Nakib, Amir, Talbi, El Ghazali (Eds.) 2019. 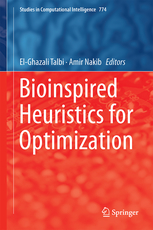 T. Bernard, A. Nakib, Adaptive ECG Signal Filtering Using Bayesian Based Evolutionary Algorithm, Metaheuristics for Medicine and Biology, 187-211, 2017 (Springer). 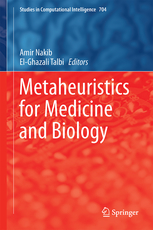 A. Nakib, E-G. Talbi, Medical Image Registration Based on Metaheuristics: A Comparative Study, Metaheuristics for Medicine and Biology, 171-185, 2017 (Springer). A. Nakib, R. Blanc , H. Oulhadj and P. Siarry "Les fourmis pour la segmentation d'images médicales par résonance magnétique", book title: "Fourmis artificielle",Hermes-Lavoisier Collection Traité IC2, Oct. 2009.